Village of Pinehurst, NC. 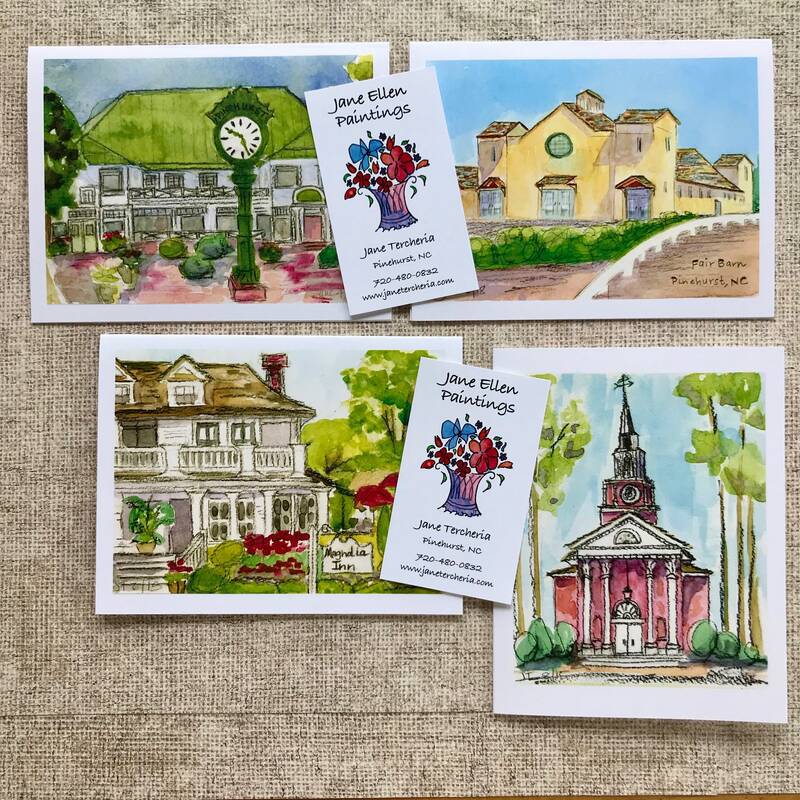 Packet contains 8 notecards: 2 each of the four images shown. Cards are blank inside, and come with 8 matching white envelopes. Images are 3.75 x 5 inches. Cards are 4.25 x 5.5 inches. © Jane Ellen Tercheria. All rights reserved. 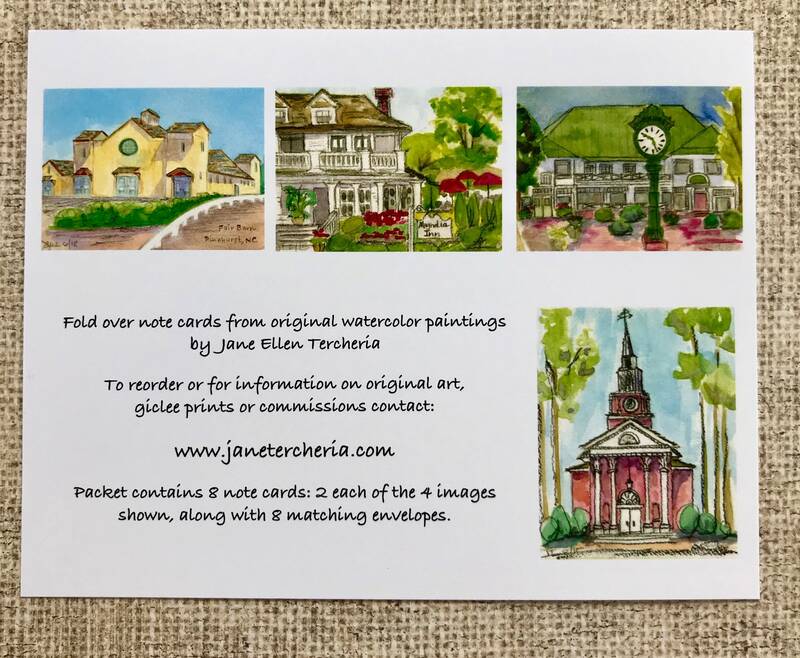 The images of the Magnolia Inn, the Village Chapel, the Department Store, and the Fair Barn are from original watercolor paintings painted en plein air in the village by Jane Ellen Tercheria, and are part of a set of “Postcards from Pinehurst”.